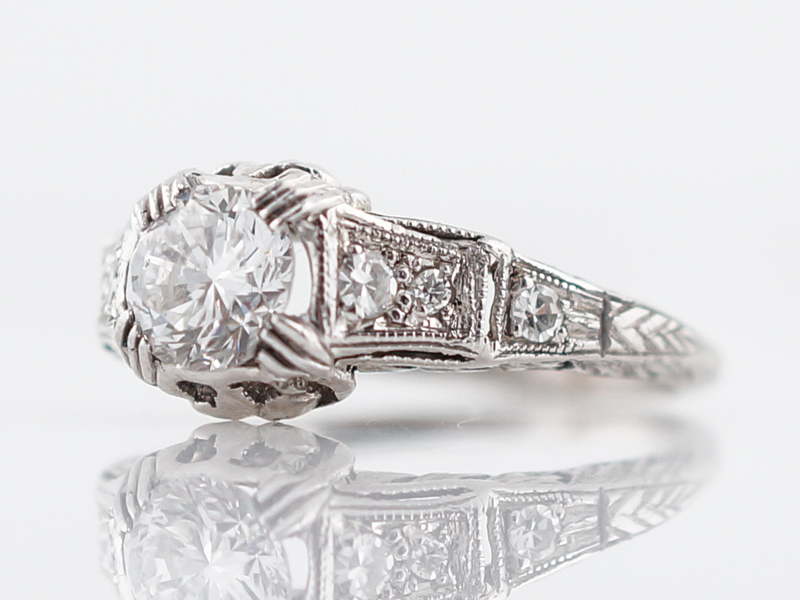 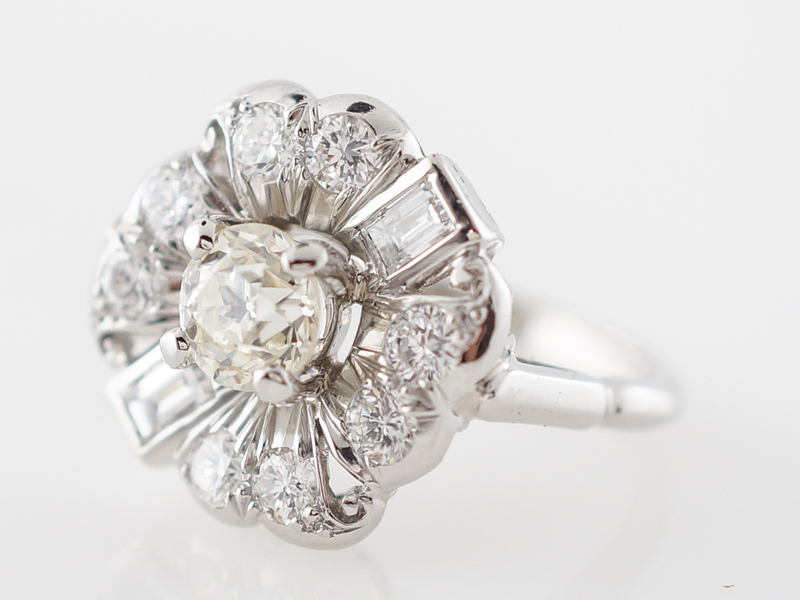 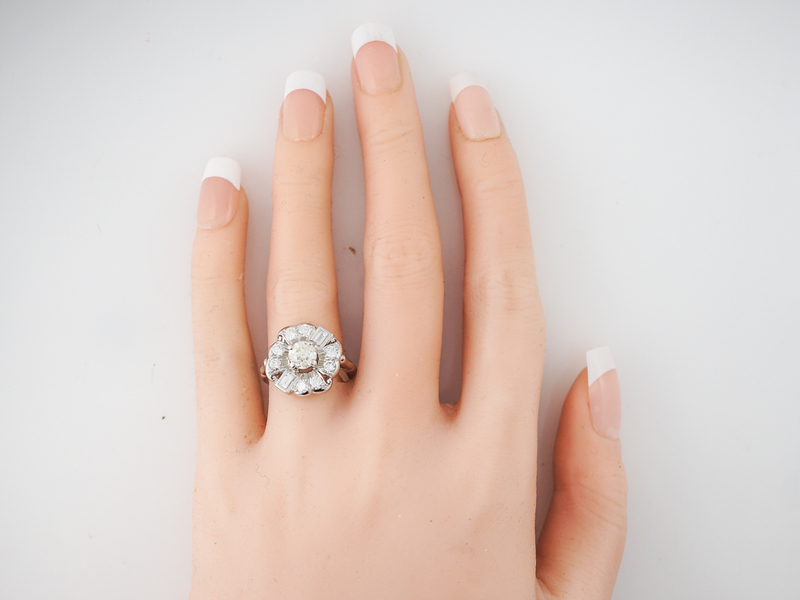 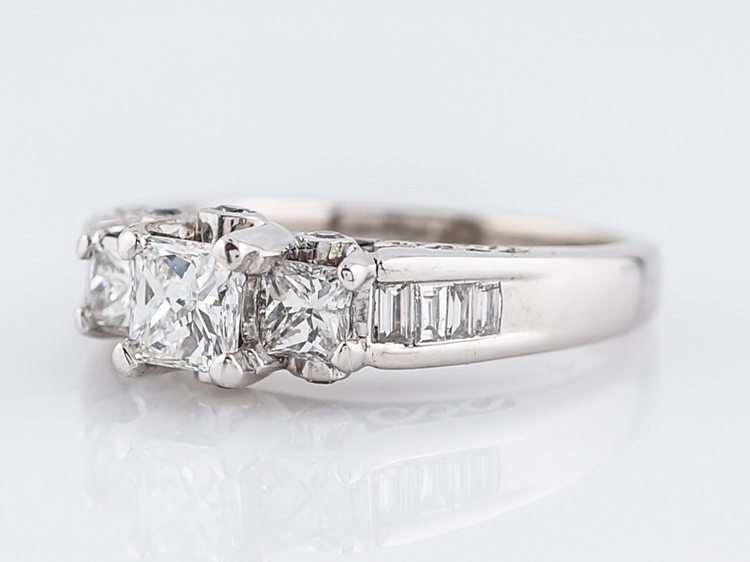 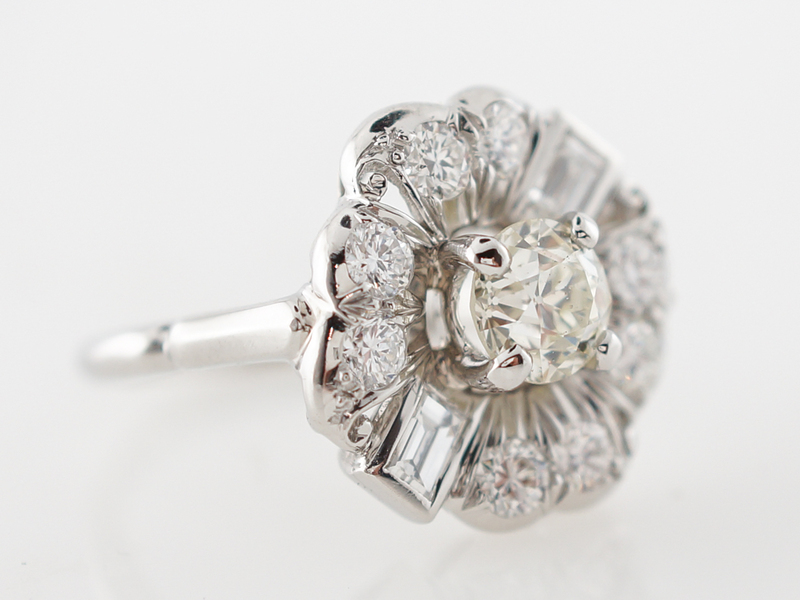 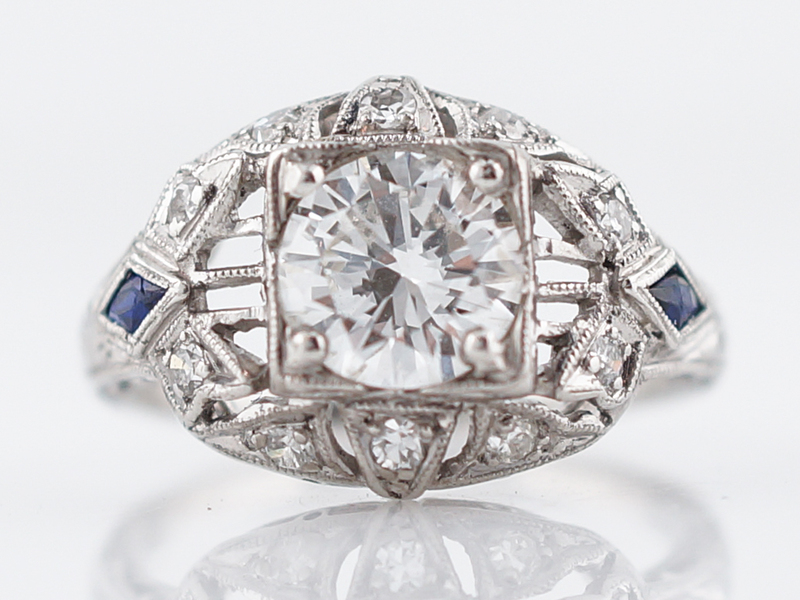 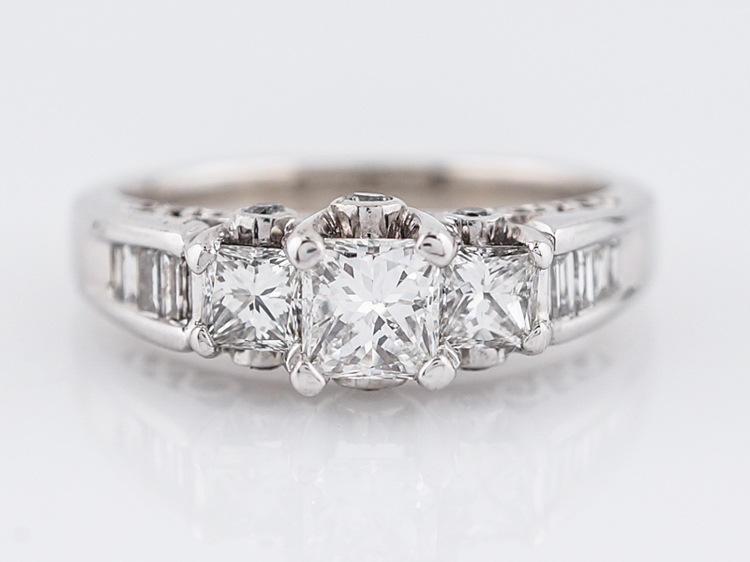 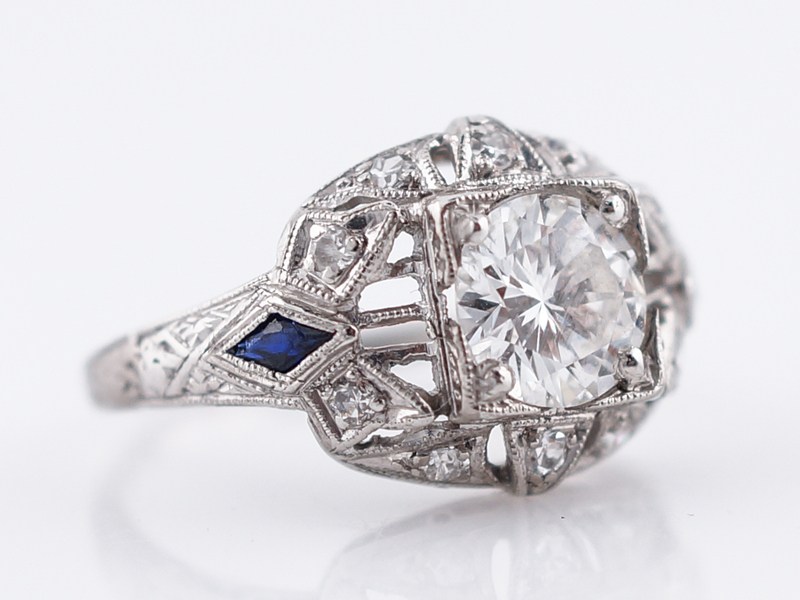 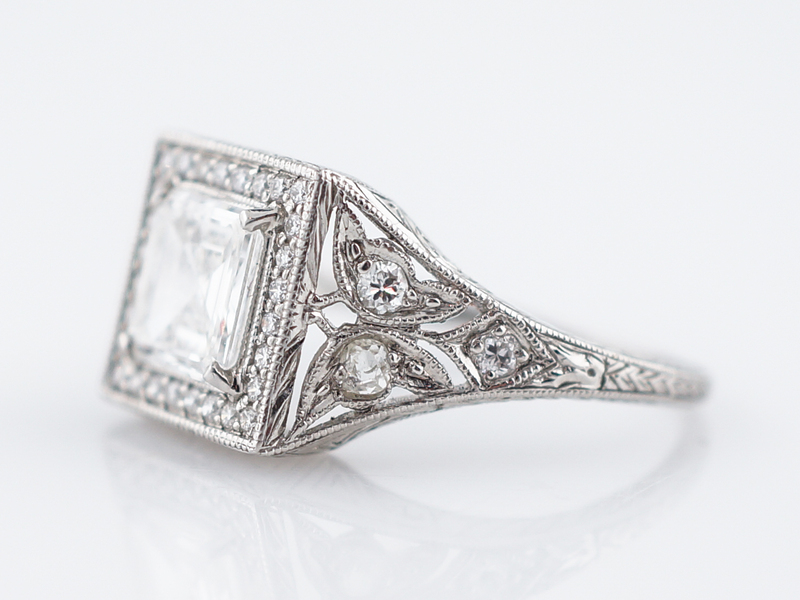 This vintage mid-century engagement ring features a cluster design first seen during the Victorian period. 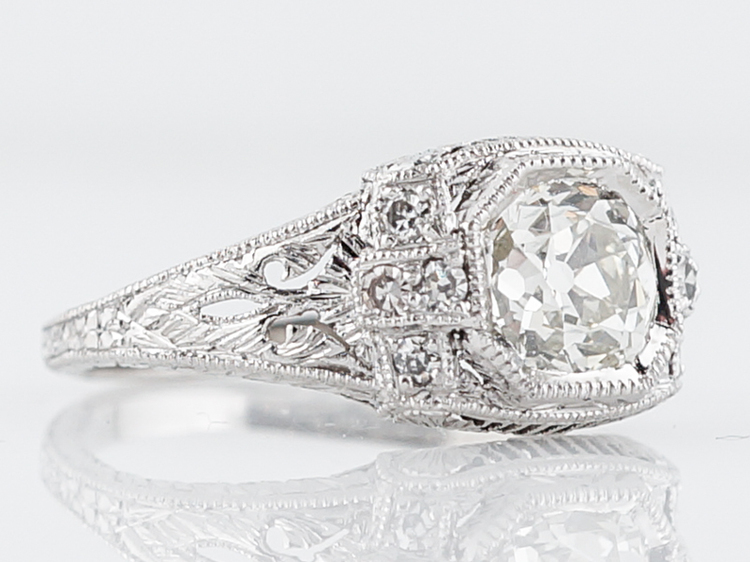 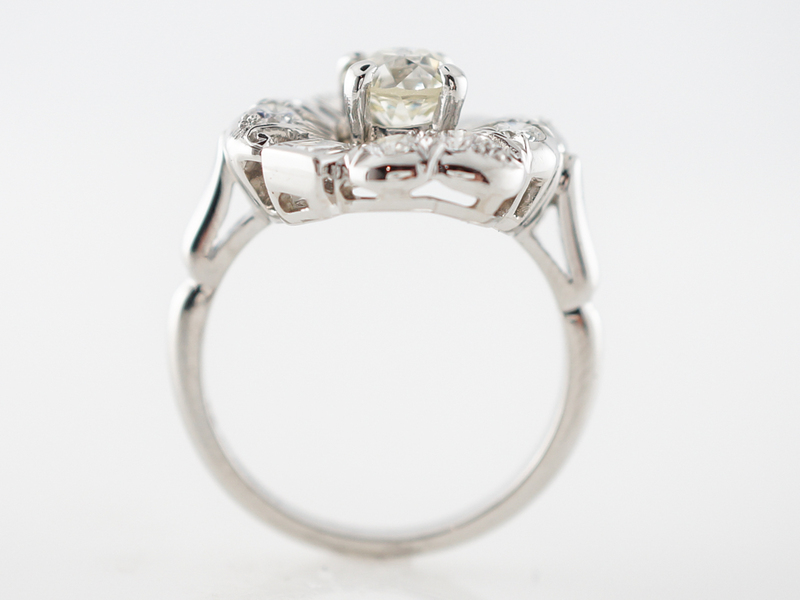 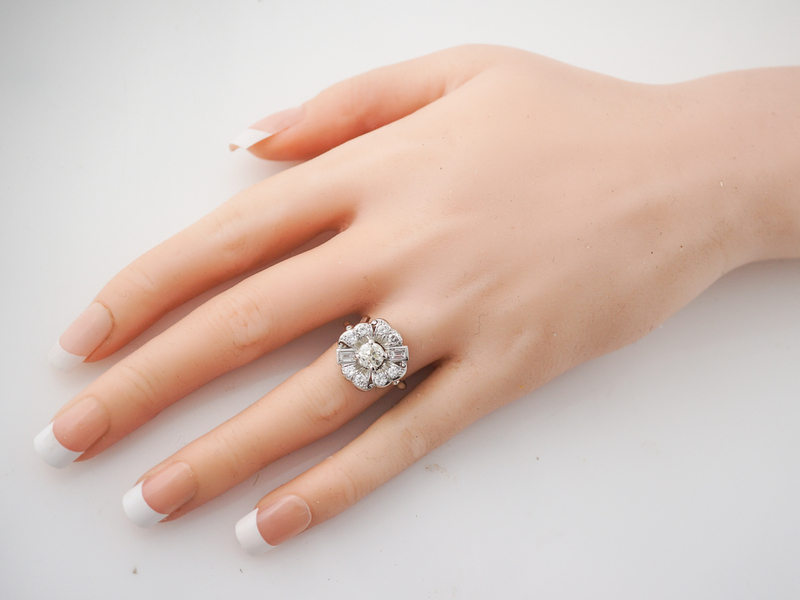 The center stone is a .88 carat old European cut diamond held by four light prongs. 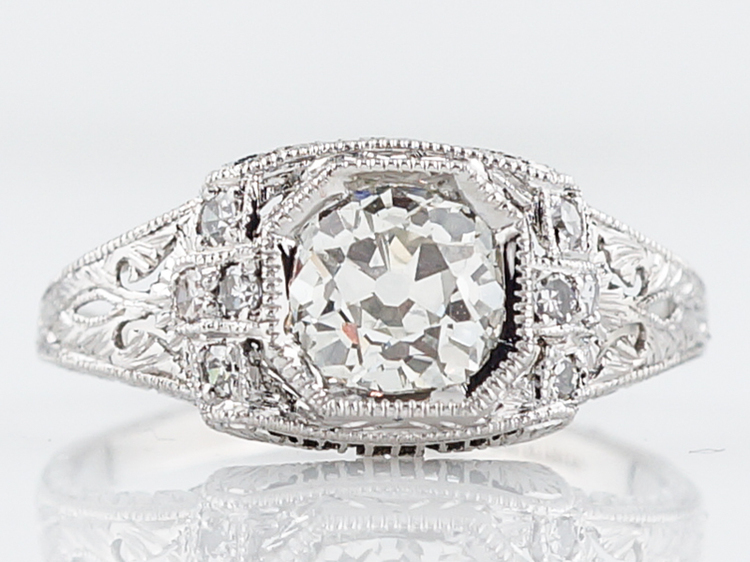 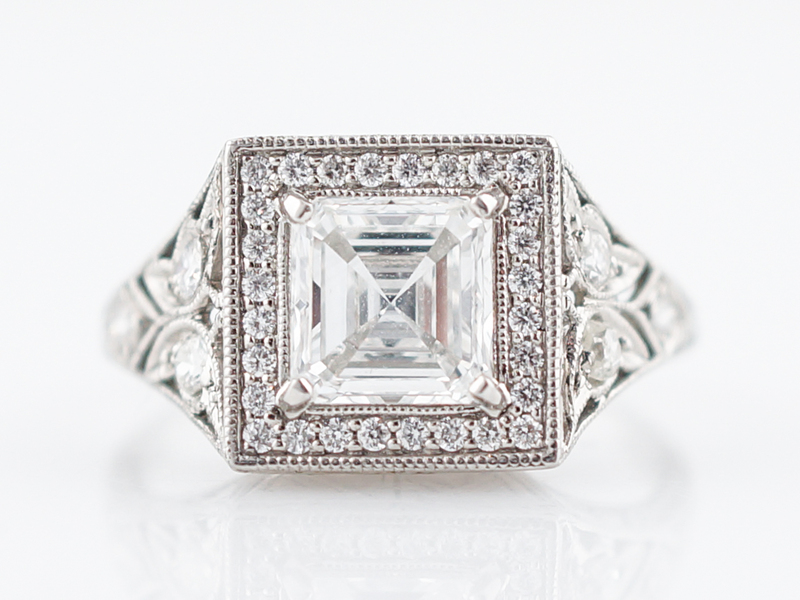 The center stone is surrounded by a halo of round brilliant and baguette cut diamonds. 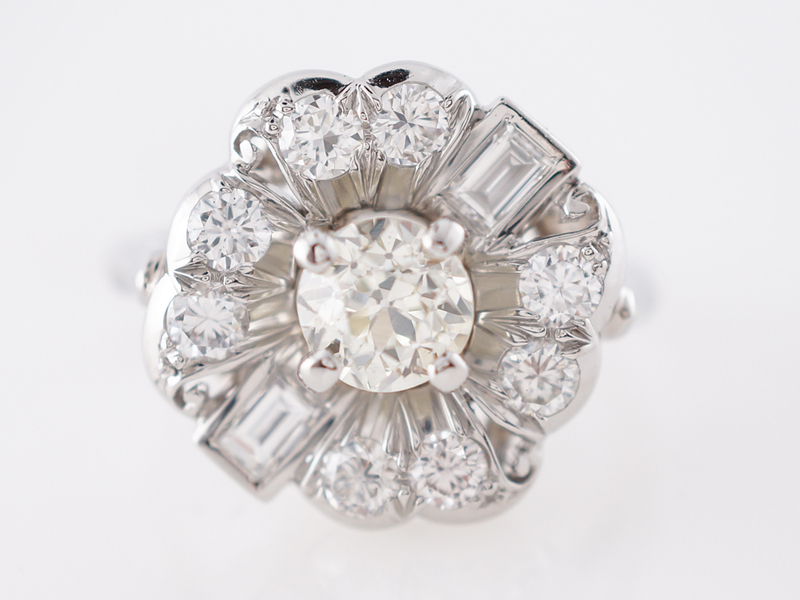 Together, the diamonds present an incredible brilliance from both near and afar and dazzle from every angle. 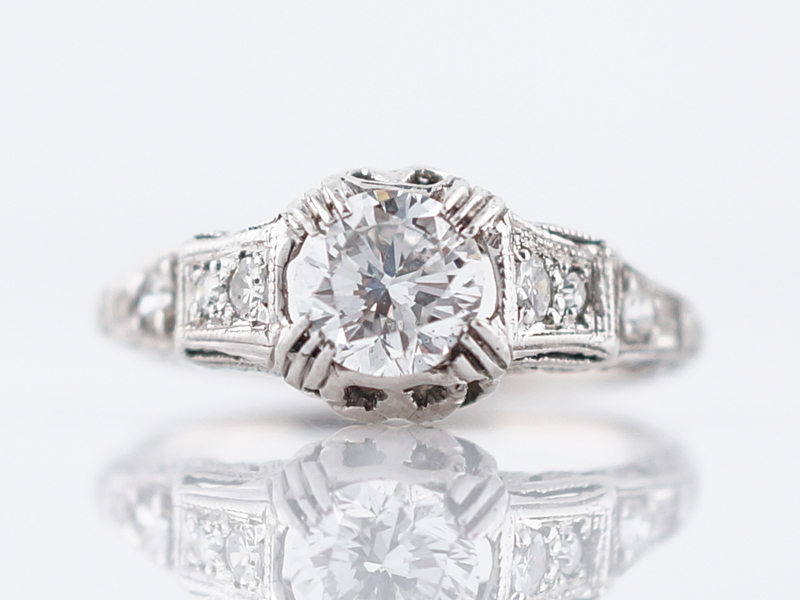 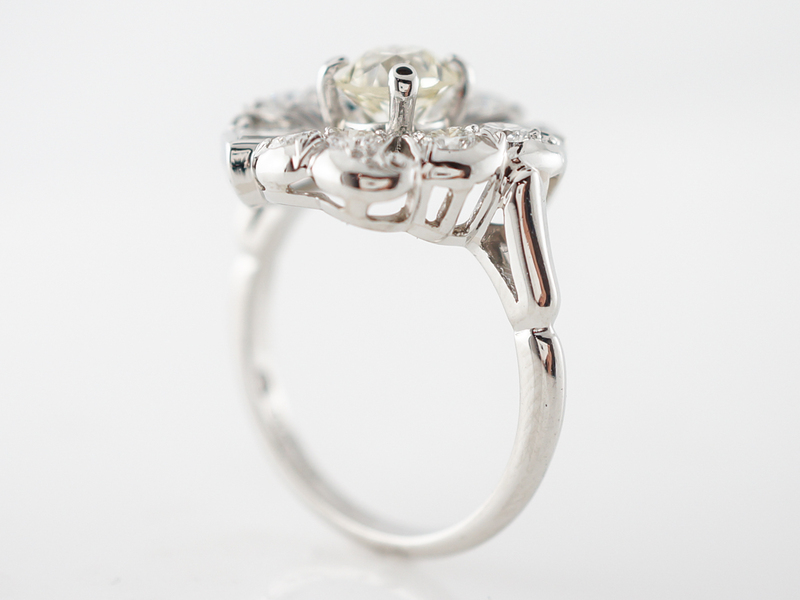 Finished in platinum, this unique engagement ring is a true one of a kind!